How much is Kris Jenner Worth? Kris Jenner net worth: Kris Jenner is an American reality television star, media personality, and author who has a net worth of $90 million. Kris Jenner was born on November 5, 1955 in San Diego, California. 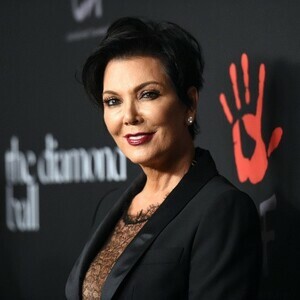 A businesswoman and entrepreneur, Kris is probably most famous for being the mother of reality starlets Kim, Kourtney and Khloe Kardashian. Kris had these daughters, as well as a son named Rob, with her former husband the late Robert Kardashian. Robert Kardashian was famous for being one of OJ Simpson's defense attorneys during his murder trial in the 1990s. She manages all of her daughters' careers and also serves as executive producer of the reality series, Keeping Up With the Kardashians. Kris Jenner has appeared on Keeping Up with the Kardashians, Kourtney and Khloe Take Miami, Khloe and Lamar, Kourtney and Kim Take New York, Good Morning America, The Talk, and America's Next Top Model. She had a very short lived talk show called Kris that was cancelled after it's initial six week trial run. In 2011, Kris Jenner's autobiography Kris Jenner…and All Things Kardashian was released. Kris Jenner and Robert Kardashian also have a son named Robert. 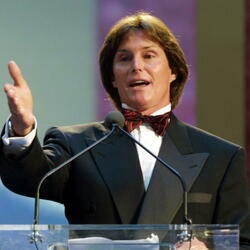 She was married to former Olympic athlete Bruce Jenner from 1991 – 2013. The couple announced their separation in October 2013. Bruce and Kris have two daughters together, Kendall and Kylie. Kris Jenner had a face lift in 2011 before her daughter Kim's wedding. She co-founded the California Community Church in 2012. Jenner was portrayed by actress Selma Blair on the television series American Crime Story in 2016. In 2014 her cookbook In the Kitchen with Kris: a Kollection of Kardashian-Jenner Family Favorites was published. Kris Jenner is a former business owner of the children's boutique Smooch with her daughter Kourtney. The boutique opened in in 2004 and closed in 2009. She briefly worked as a flight attendant in the 1970s.